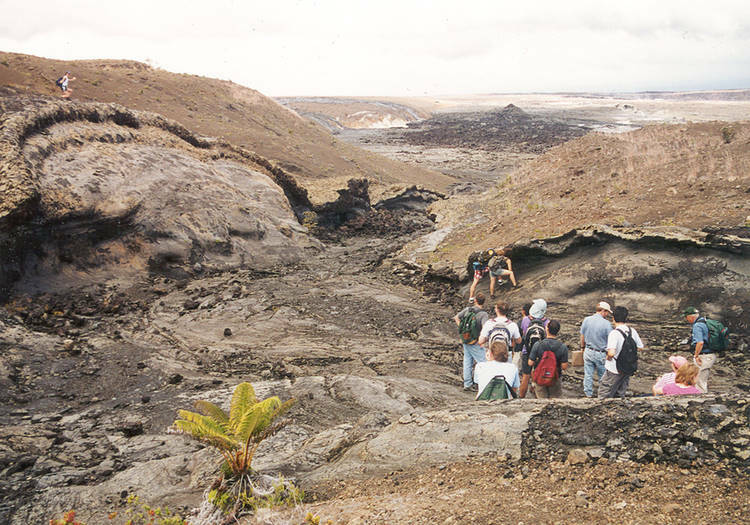 This is an old lava channel. Cut by molten lava flowing downhill, you can see features similar to water rivers. For example, the high bank on the outside of the turn. Scientists can use the height of this bank to estimate the speed of the lava.